The average small business spends around seven percent of revenue on IT. What you may not know is your IT could be costing you more than that. IT affects almost every business function these days. If your IT is not streamlined, it could be affecting your productivity and running up costs. 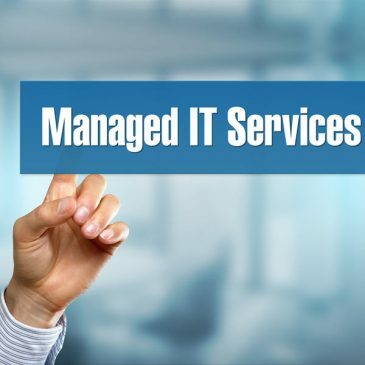 Managed IT services could be what your business needs. Of course, managed services for your IT operations do more than just lower costs. Here is how they can help improve your internal processes. With these processes in place, you can find higher productivity, fuel growth, and more. In many small businesses, the IT department consists of one or two people. In some businesses, there may not be an IT department. If you are running IT all on your own, you may find you are not doing things in the most efficient way possible. Switching to outsourced IT services changes this scenario. By teaming up with a great IT provider, you instantly get access to best practices. Your provider’s seasoned team of experts have also reviewed dozens of processes. They have picked the ones that give you the most operational efficiency. The result is processes that help you achieve more in less time. For many small business owners, a challenge with IT is implementing the right process. You may be faced with a new project or program, but you are not sure how you should approach it. Security is a great example. Many business owners want to improve their security, but they are not sure how. They may adopt outdated practices or the wrong tools, which are more time-consuming. When you work with a provider, they will help you pick the right tools and procedures. Another example would be updating your information systems. You can count on your IT provider’s expertise as you make the switch between a legacy system and a new one. As workplaces rely more on technology, IT has taken on more responsibility. IT is now working with the marketing department to update the website. Your sales department relies on them to keep CRMs and email functional. In small businesses in particular, your team may end up getting bogged down in tedious IT issues. Even when you have a dedicated IT team, they may spend their time working on support tickets or security. With managed services, they could be looking at strategy or initiatives instead. When you outsource business IT services, you free up your staff to get back to the tasks that matter most. Another benefit of managed IT services is that they give you greater scalability. Streamlining processes makes it easier to apply them across the company as it grows. You will also have access to a team that can grow with you, as well as the latest technologies. This process helps you fuel growth and productivity in your business. There is a reason so many businesses choose managed IT services. Managed services give your business room to grow. Has IT been holding you back? It might be time to consider managed business IT services. Get in touch with us. We will help you discover the solutions that fit your business.